My situation was somewhat unique in that I moved back to Minnesota and needed to find a suitable place that was willing to take my dog for a longer-term stay while I got settled. I found that place with GrandPaws Place. When I first visited I noticed how well-kept the area was and I was happy hear about amount of play time for my dog. 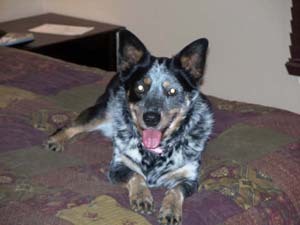 She’s an Australian Cattle Dog and has a lot of energy to expend. However, more important to me was the personal interest the staff gave my dog. This was a incredible relief to me and eased my worries about being away from her for an extended period. I now live in Bloomington but still make the trip to GrandPaws Place because I know well she will be treated. Thanks GrandPaws Place!